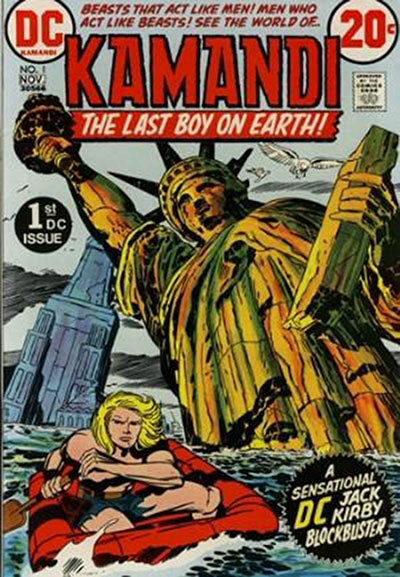 Kamandi is an American comic book character, created by artist Jack Kirby and published by DC Comics. 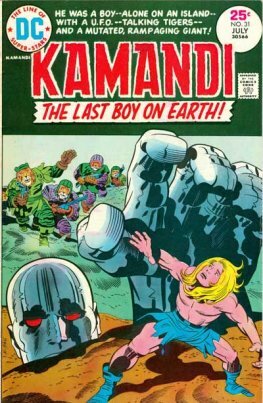 The bulk of Kamandi's appearances occurred in the comic series Kamandi: The Last Boy on Earth, which ran from 1972 to 1978. 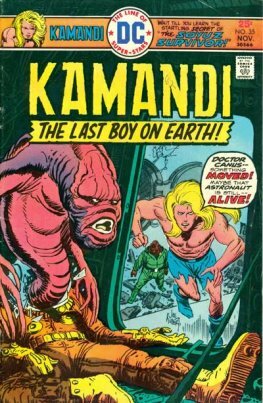 Kamandi is a young hero in a post-apocalyptic future. After a huge event called "The Great Disaster," humans have been reduced to savagery in a world ruled by intelligent, highly evolved animals.